An interest in the insects and other organisms associated with goldenrod and their role in supporting other wildlife inspired me to apply for a research grant from the Access Copyright Foundation in order to study and illustrate them. That year-long project is now complete and the resulting illustration is below. This life-size (approx. 36 in. 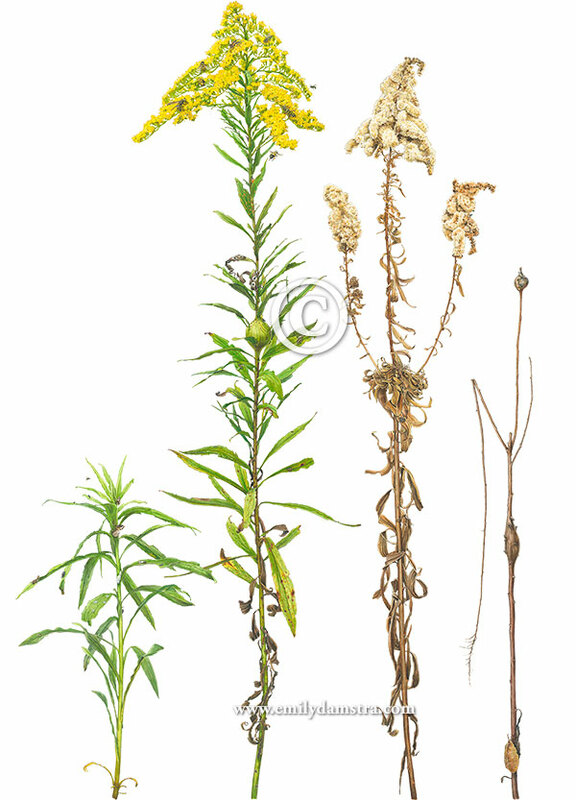 tall) painting of Solidago altissima shows four ramets (individuals in a group of clones) – one for each season. Among the leaves, flowers, and stems are signs of 43 species of insects, three spiders, two fungi, and one snail. Nearly all are species that I personally observed during many hours of observations in the field; two are species that I did not see but that are known to depend on Late Goldenrod. There were many other species I observed or read about that I did not include because the goldenrod would have looked ridiculously overloaded. I’ll post more information and close-up images in the weeks and months to come. 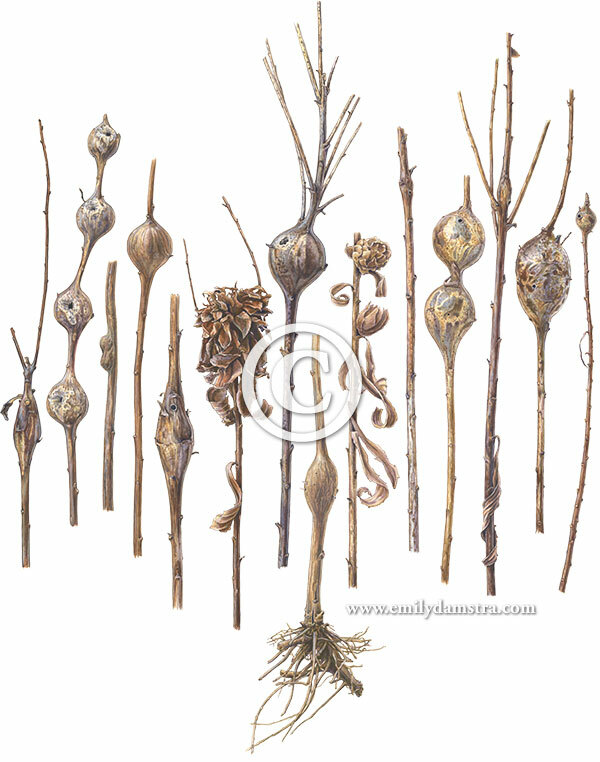 The illustrations are available as prints, with or without interpretive text. See here.